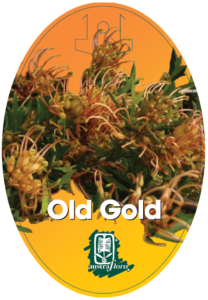 Neat and colourful describes Old Gold™ to perfection; this compact small plant wins the Olympic double with golden new growth and gold & coral-pink bunched flowers for most of the year. No wilting ‘Gladdie’ this one, it gets top podium finish every time whether you garden in cool temperate, sub tropical or semi arid climates, in low alkaline to acid pH well drained soils. If this isn’t enough for you, Old Gold™ not only sees off heavy frosts but is very relaxed in coastal gardens, and expect regular visits from numbers of honey-eating birds. 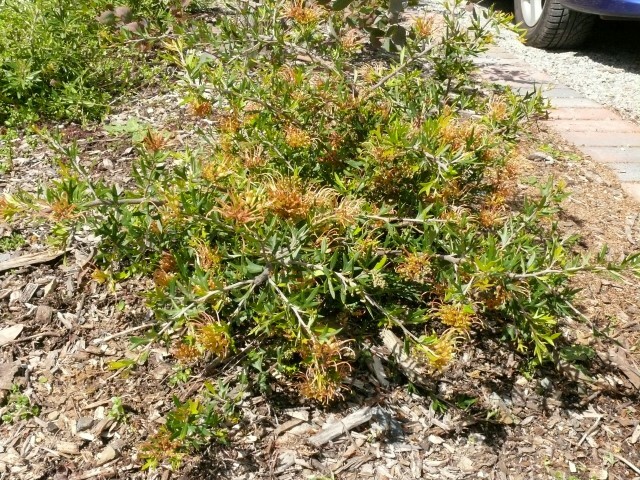 Great for mass planting or low hedging and a must in containers for small gardens.